Paul Benjamin Mendelsohn born in Melbourne is a well known character actor known for playing villains and criminals. Paul Benjamin Mendelsohn was born in Melbourne, 3 April 1969 to Carole Ann (Ferguson), a nurse, and Frederick Arthur Oscar Mendelsohn, a medical researcher. He attended Heidelberg Primary School and Eltham High and Banyule High schools. He took drama because he thought it was an easy class. Mendelsohn was the only one of his friends to follow up with an audition for Crawford Productions that was being advertised. Getting his start in television, including The Henderson Kids and the long running soap opera Neighbours, Mendelsohn broke out with his performance as an ill-fated juvenile delinquent in the acclaimed coming of age film The Year My Voice Broke. Mendelsohn won the best supporting actor award from the Australian Film Institute, his first of eight nominations. Mendelsohn went onto to become one of the most popular teen/young adult stars in Australia cinema, often rivaling other emerging talents of his generation, including Russell Crowe, Noah Taylor, and Guy Pearce, leading the Australian tabloid to nickname them "the Mouse Pack" in reference to the Rat Pack in America and Brit Pack in the UK, emerging at the same time. Among his peers, Mendelsohn seemed to corner the market on troubled, angry young men, thanks to his roles in Idiot Box, Metal Skin, and Nirvana Street Murder. But Mendelsohn also proved he was capable of being a romantic lead, starring in the comedies The Big Steal, Cosi, Spotswood, and Amy. In the 1990s, Mendelsohn appeared in just one "Hollywood" film, the action film Vertical Limit, as one of two daredevil climbers on a rescue mission, often providing the film's comic relief. The film failed to find an audience and Mendelsohn returned to Australia, where he primarily worked in theater and television, despite earning best actor nominations from the Australian Film Institute and Australian Film Critics Circle for the drama Mullet, as a prodigal son returning to his small town. He also took steps to work in more international films such as The New World, Knowing and Australia. Mendelsohn has acknowledged that there was a period of almost two years that he had so little work, he considered leaving the acting profession entirely. In 2009, Mendelsohn experienced a bit of a comeback with the role in the independent Australian films Beautiful Kate, as troubled man forced to reunite with his dying father and come to terms with the death of his twin sister, with whom he had a complicated relationship. He was nominated for Australian Film Institute and Australian Film Critics Circle Best Actor in 2009. A year later, he appeared as Pope in Animal Kingdom, the most terrifying and violent member of a crime family. In 2010, he won Best Actor from the Australian Film Institute, Independent Film Award, and Australian Film Critics Circle. Since 2010, Mendelsohn has become a major player in Hollywood as a character actor in both blockbuster films (The Dark Knight Rises) and critically acclaimed films such as Killing Them Softly and Place Beyond the Pines. In 2013 he appeared in the UK Starred Up, which earned him a Best Supporting Actor Award from the British Independent Film Awards. He received high praise for his performance as gambling addict in 2015's Mississippi Grind (earning an independent spirit award nomination for best actor). The same year he began a two season run on Netflix's Bloodline as Danny Rayburn, the black sheep in a well respected family in the Florida Keys (he was considered a guest actor in the third and final season). In 2016 his career took another leap forward, appearing as the main villain. In the Rogie One (A Star Wars Story) and winning the Emmy for Outstanding Supporting Actor in a Drama Series. He missed the ceremony, as he was filming Steven Spielberg's Ready Player One. 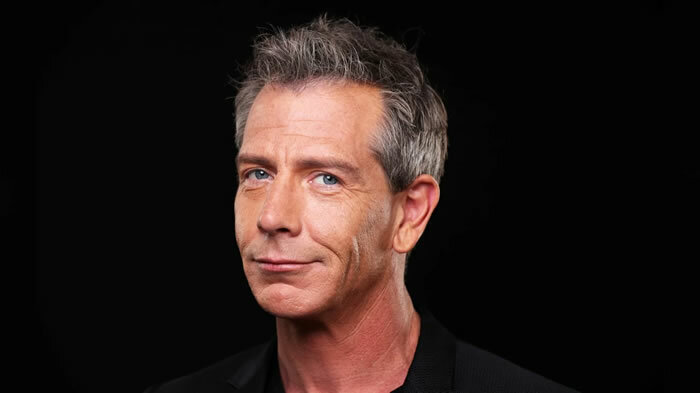 MELBOURNE actor Ben Mendelsohn is heading for a big birthday next year - he'll hit the dreaded 5-0 in April. But unlike previous milestones - turning 30 and 40 were 'a big deal' - the Aussie Alister says he won't be doing too much soul-searching about it. Unsurprisingly, any reflecting he has done about his career over the last decade has only brought him smiles. Ten years ago he was just starting to come out of a career slump that at one point had him washing dishes at a restaurant in Sydney's Bondi and working at a Brumby's Bakery. Now, thanks in no small part to his role as the insidious, deadeyed gangster, Pope, in David Michod's 2010 Aussie crime thriller Animal Kingdom, he's carved out a lucrative niche as Hollywood's villain of choice. In the last six years, he has broken bad for Christopher Nolan in The Dark Knight Rises, Ridley Scott in Exodus: Gods and Men and Steven Spielberg in Ready Player One, as well as embracing nefarious roles in Star Wars: Rogue One and next year's Marvel Cinematic Universe chapter, Captain Marvel. For his next movie, the umpteenth version of Robin Hood, he's returning to the very beginning of his long involvement with the silver screen. The Disney animated version of the much loved 'steals from the rich and gives to the poor' rebel was the first film he ever saw at the cinema as a child living in Germany. And true to recent form, he's not on the side of the underdog outlaw, but rather is playing the violent, bullying , corrupt antagonist, the Sheriff of Nottingham. Finding something new in a role that has been played so many times is no mean feat - and Mendelsohn was a didn't want to try to emulate what he considers the greatest of them all, the late Alan Rickman's towering performance that well and truly stole 1991's Robin Hood: Prince Of Thieves away from its A-list star, Kevin Costner .